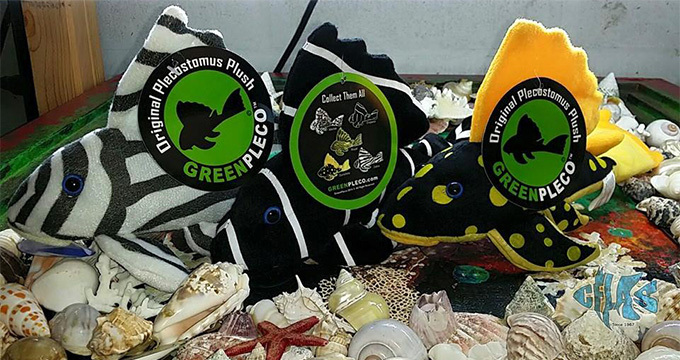 Our friends over at Green Pleco, creator of the Original Plecostomus Plush, have sent us a bunch of these amazing 12″ plushies. These playful, colorful armored catfish come in a variety of patterns resembling their living counterparts, like the Emperor, Zebra, Marble, Royal, and our personal favorite, the Sunshine plecostomus. They even have suction cups, so you can stick them on the window in your home or office, on the side of your aquarium, or even in the car. The best part is, you have a shot at winning one every month by visiting www.PlecosSuck.com! 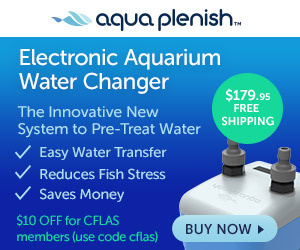 Our current Green Pleco-sponsored promotion is a newsletter drive. Simply sign up to receive our newsletter and you will be entered to win one of these awesome plushies! Last month's promo was the 2015 Best of Central Florida awards. Be sure to check if you are a winner! Be sure to stop by the Green Pleco Facebook page for more great promotions!